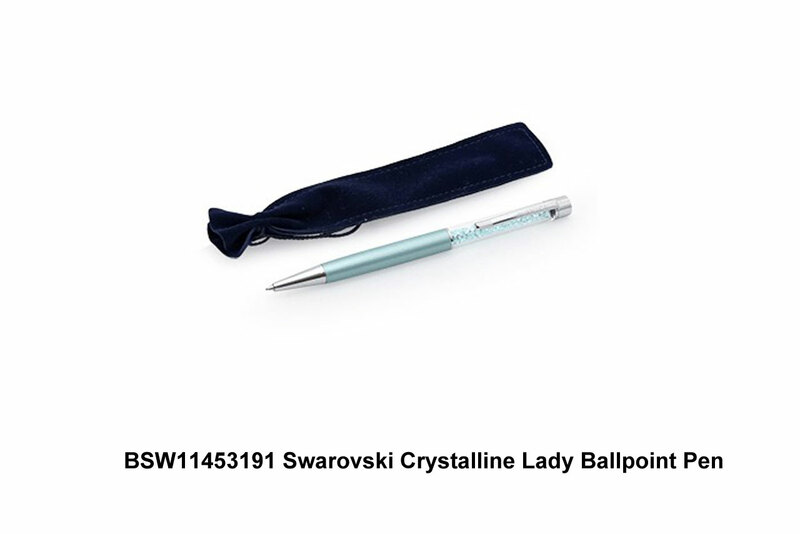 Description Create your own stories and sign your best deals with this ballpoint pen, which will add sparkle to any desk. The clip features the Swarovski brand name, while the body sparkles with crystal chatons. The body is filled with 160 sparkling light azore crystals. It comes in a stylish velvet pouch.